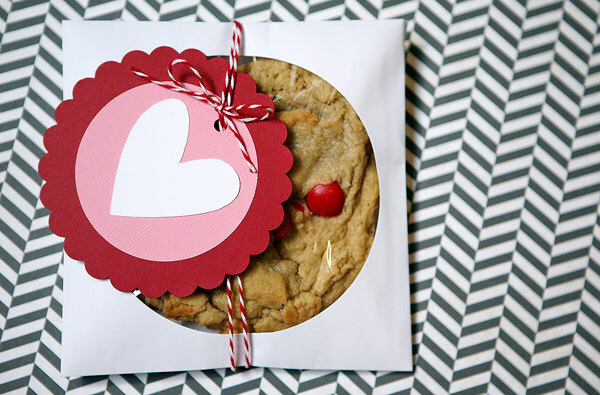 Made with love - our guide to a DIY Valentine's Day! 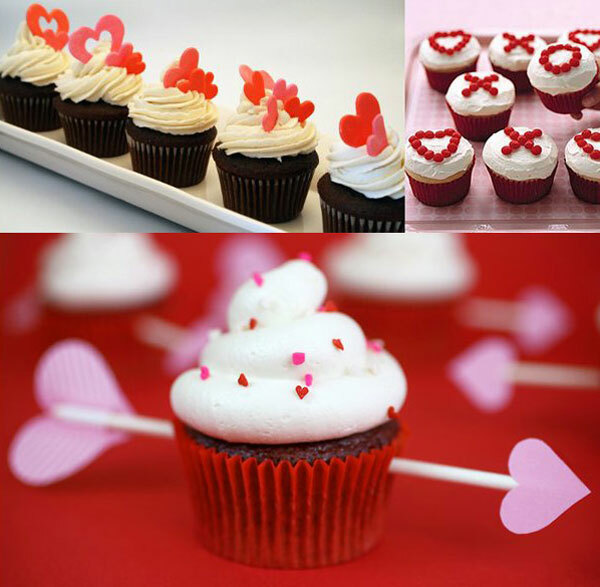 Made with love – our guide to a DIY Valentine’s Day! 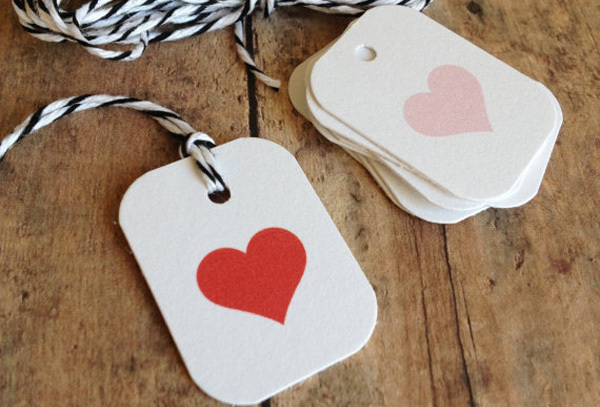 It’s easy to blow the budget on store-bought Valentine’s Day gifts and cards so why not get a little creative and craft something yourself, having a bit of fun along the way? Prepare yourselves Babyologists – don your apron and arm yourself with a glue stick – it’s time to get busy and show your loved ones you care, DIY style! Firstly, don’t under estimate the power of packaging.I honestly think just about anything can be instantly turned into Valentine’s Day material if it’s dressed right. 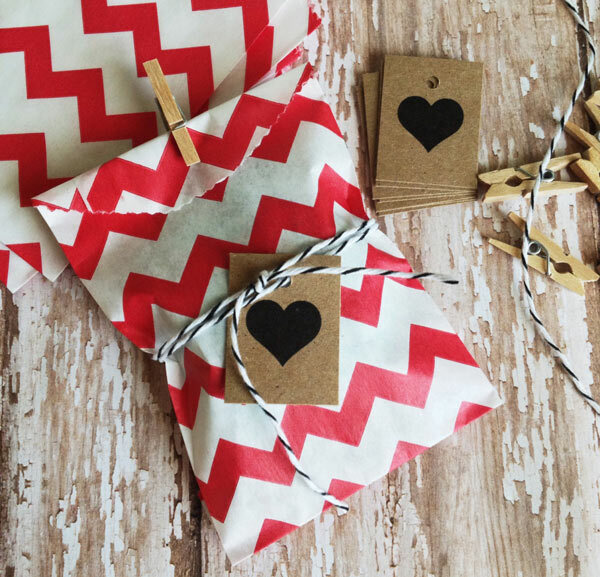 The amazing gift tags and wrapping kits pictured above are from Etsy’s Print Smitten – for US$10 you have all you need to wrap eight gifts! 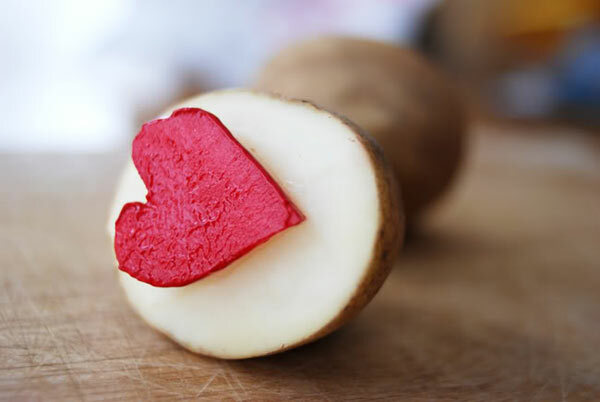 To make your own heartfelt wrapping paper, I suggest turning to the humble potato. 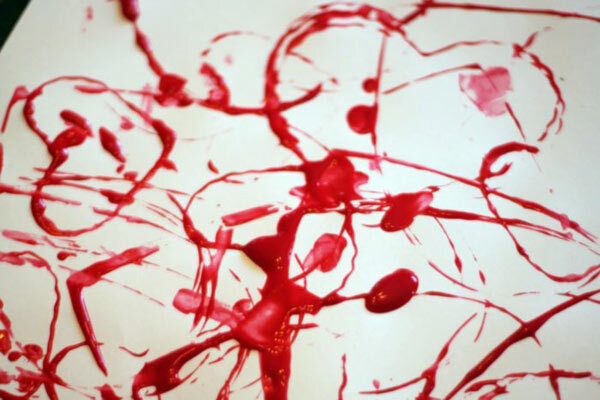 A roll of paper and tubes of red and white paint (mix different quantities together for varying shades of pink) is all you need to have for hours of stamping fun on cards, paper, canvas – you name it, you can stamp it. See Noe Place Like Home for a step-by-step guide on how to morph a spud into a craft stamp. While you’re in the groove for painting, aren’t these leggings absolutely darling? 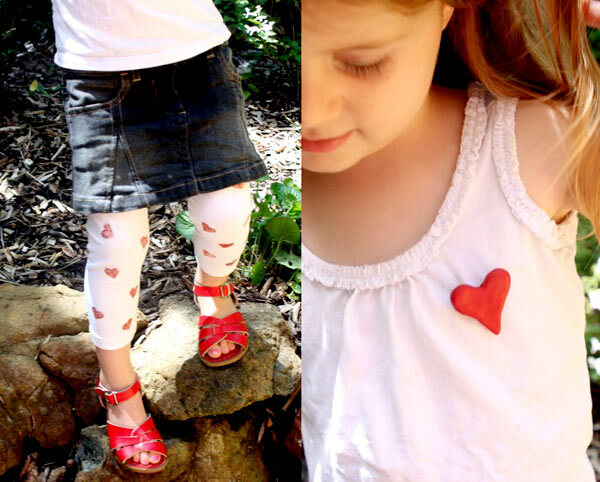 The amazing Belinda of The Happy Home blog shows how create our very own Glitter Heart Leggings with a tutorial that also includes a how-to for this uber cute clay heart badge! 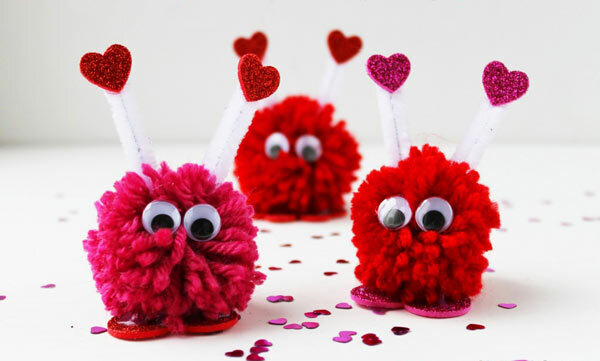 For more crafty goodness, kids will think the Valentine Pom Monsters project from Create Craft Love are an absolute scream. What’s not to love about the combination of googly eyes, pipe cleaners and wool? Small children love to roll up their sleeves and get messy and we love that this Cookie Cutter Painting activity from Hands On As We Grow lets them do just that while creating some beautiful Valentine themed art. 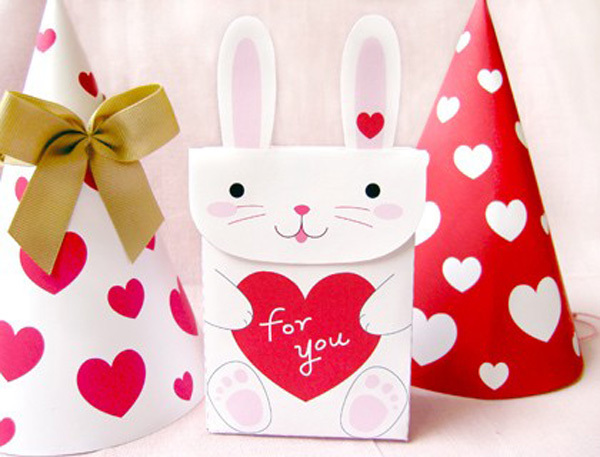 As always, we’ve found some fabulous free printables – I almost squealed in delight at the very sight of these Valentine’s party hats and bunny favour bag from Mr Printables. 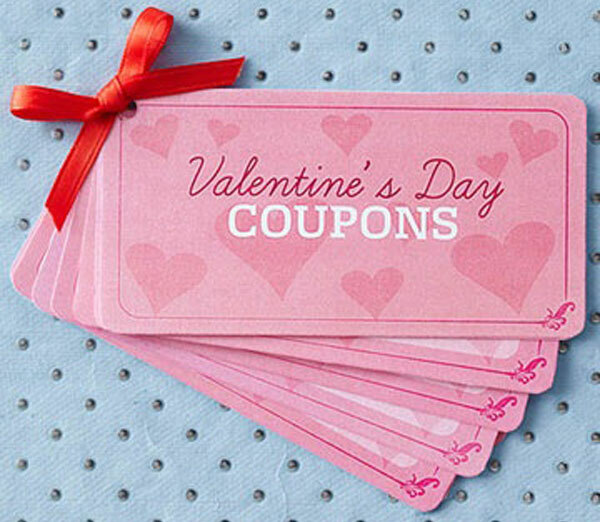 Not to mention the fun to be had with this Valentine’s Day Coupon Book from Better Homes and Gardens. If your Valentine is a keen Scrabble player, this Scrabble inspired Valentine gift will steal their heart for sure! 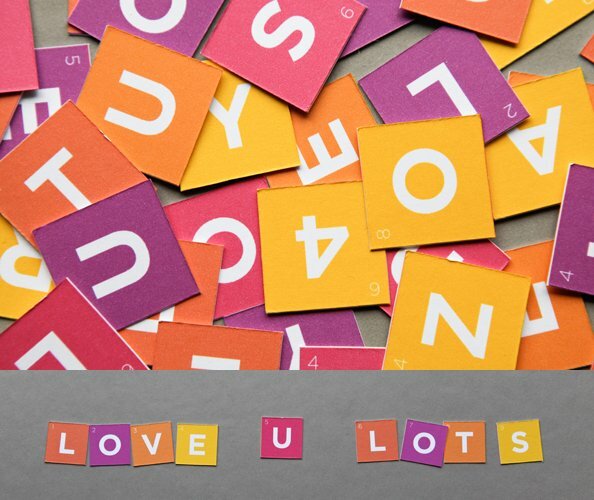 Download your very own Valentine Scrabble Gram (for free!) from Oh Happy Day. 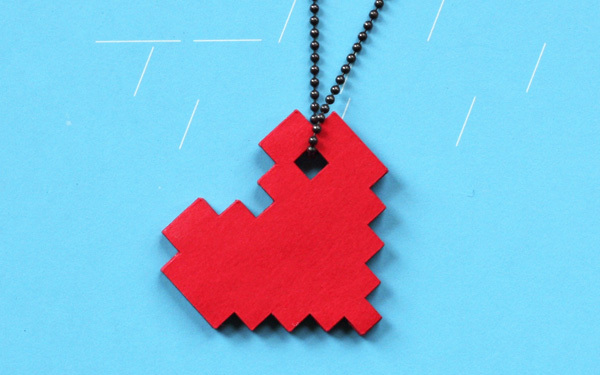 Older kids will love the challenge of constructing a funky paper Pixel Heart Necklace. The tutorial from How About Orange sounds easy enough, but be warned – a craft knife is needed – which translates to patience and a step best done by a parent. Though one look at the awesome result and we’re convinced the time spent cutting them out will be worth it. 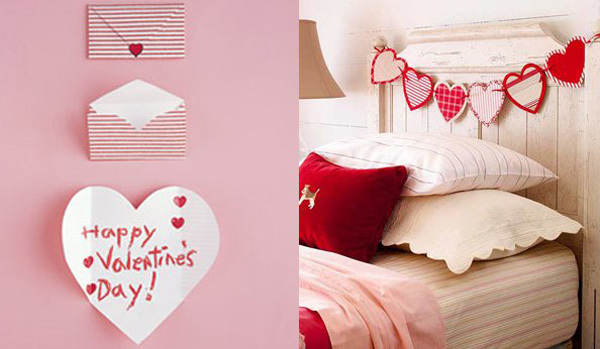 Here’s a novel idea, use those offcuts of wrapping paper to make these clever folding envelope hearts from DIY extraordinaire Martha Stewart. While cutting out heart shapes, contemplate constructing a gorgeous garland (like this one from Better Homes and Gardens) to string up. If baking is more your thing – you will be pleased to know I narrowed down the million fantastic baked goods I’ve seen to these few(ish). The majestic Queen of Hearts cupcake from Bakeaholic is nothing short of magnificent, as is Bakerella‘s Cupid Heart cupcakes – they’re red velvet which can be tricky but I can attest to the White Wings packet mix being delicious. The kids can even decorate these X and O cupcakes from Martha Stewart. Biscuits are always a popular option and I adore equally the biscuit and the packaging of this sweet Peanut Butter and M&M delight from Eighteen25. And if you want to really feel the love in the kitchen, why not recreate these morsels of sweet goodness from Martha Stewart – Pink Heart Sandwich Cookies with an Oreo flavoured filling. Now, still in the kitchen but no baking involved – home made chocolates are always well received and The Happy Home blog shows us just how super easy the process for making Sprinkle Top Heart Chocolates is. 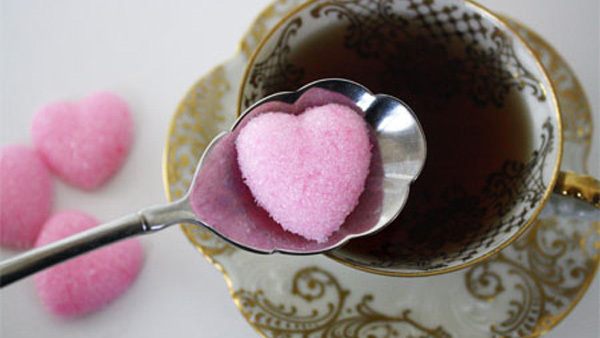 Practical yet still heartfelt, why not keep the mould out and have a go at some heart shaped sugar lumps – Skip To My Lou shows you how! Finally, just for a laugh and to see the surprised look on their faces, I dare you to present these She Devil Eggs on the table. They’re pink after all, therefore fit the Valentine’s Day theme! 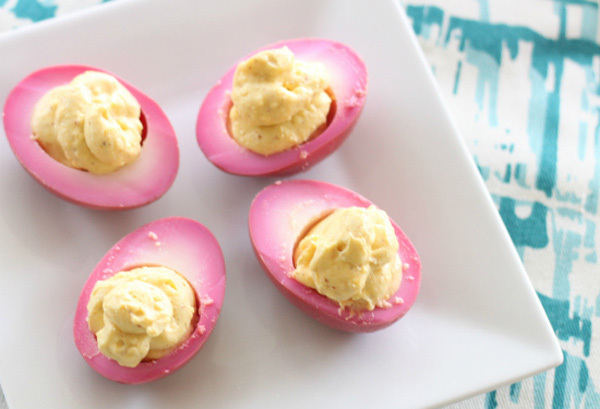 Find out just how to turn those white eggs pink with the tutorial from Ruffles & Truffles. That ought to give you plenty of ideas – let us know if you try any!